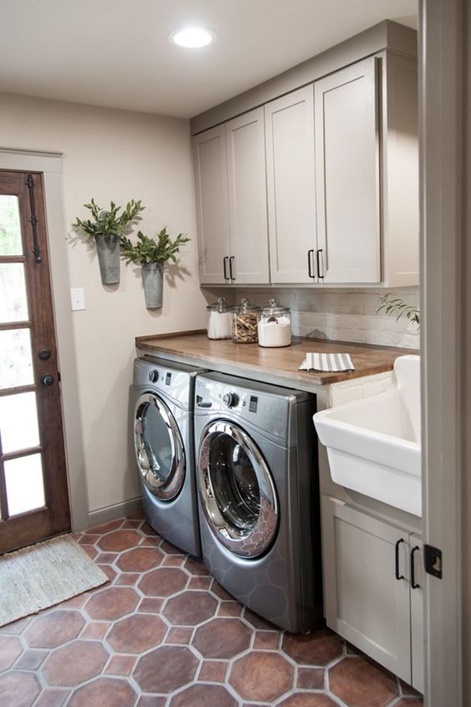 Do you love doing laundry? We thought not…but it’s often made a lot harder than it need be, by a poorly designed, unwelcoming, cramped and mouldy laundry. 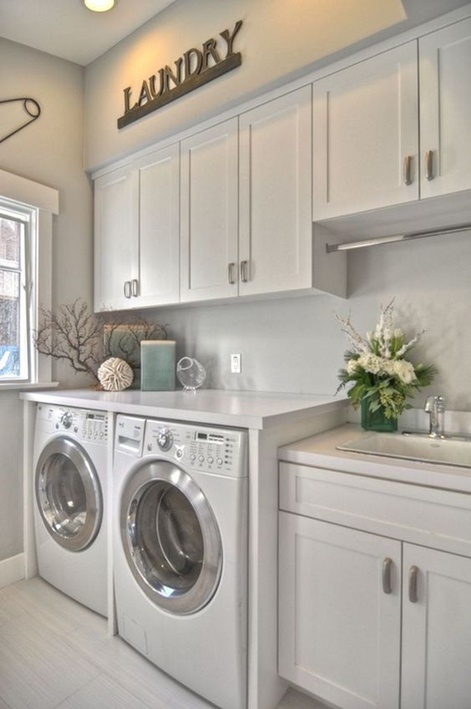 A well-designed laundry can improve functionality, storage options and general space, and increase the value of your Brisbane home. It will also make you feel more confident about going in there without tripping over the ironing board and the kids may treat it with more respect! Designing and installing a new laundry involves coordinating various trades’ people. Cabinets must be designed and built, sinks fitted, tiles laid, plumbing sorted out and so on. Failure to hire reliable professionals can mean long delays, disruption to daily home life and more expense than you bargained for. We are based in Brisbane and have been working in home and bathroom renovations all around the city for 35 years, and bring this experience to your laundry design and fit-out. We have been licensed builders since 1982 and, during this time, have made the necessary trade connections to ensure that every job gets completed to our trademark high standard. It’s our business name at stake and we take great pride in maintaining our reputation.